You may be searching for SEO Services for your Property Management Business for the first time. For many others, this may be your third or more attempt to find an SEO Expert or Company that can deliver promised results. lastly, my aggressive, dedicated, partnership approach to SEO for Property Management Companies quickly succeeds where traditional SEO has failed. The same SEO skills and expertise works incredibly well in SEO for Property Management Businesses. I have to adapt Search Engine Optimization for your unique business. However, the core concepts in the SEO approach remain. Let me put them to work for you. Each new SEO Firm professes to be an expert in SEO for Property Management Businesses and promises that they can get you to the top of Google's search results. However, after several months or even years, your rankings have hardly moved, remained static, or even dropped. Most importantly, you're not getting new properties from your website. You logically conclude that, if all these Search Engine Optimization Companies have failed, it must be impossible for a Property Management Services Company to get a top search position. It's not impossible. There's a Property Management Company currently in the top position. The Tooth Fairy didn't put them there. There's a reason. They may have a great website. Often they have the least terrible of many weak websites. However, there's always a reason. Regardless of why they're at the top, together we can do it better. We can and will win. 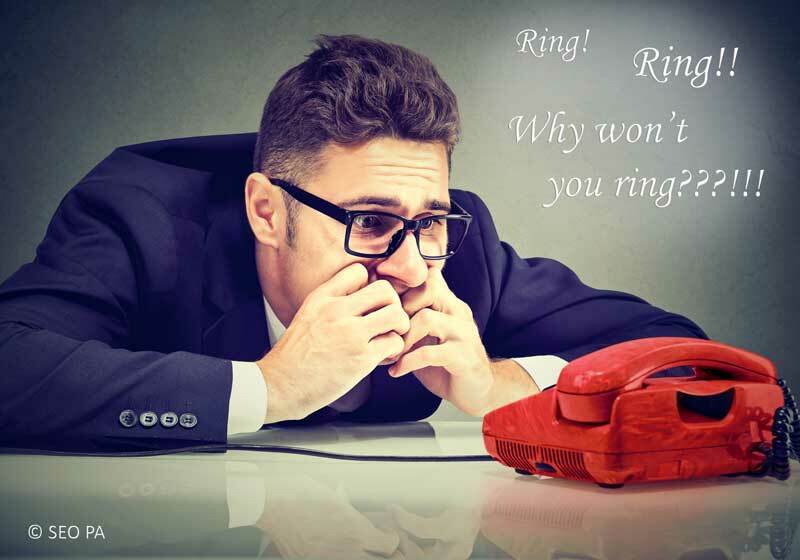 Read this page to find out why successive SEO Services continue to fail. 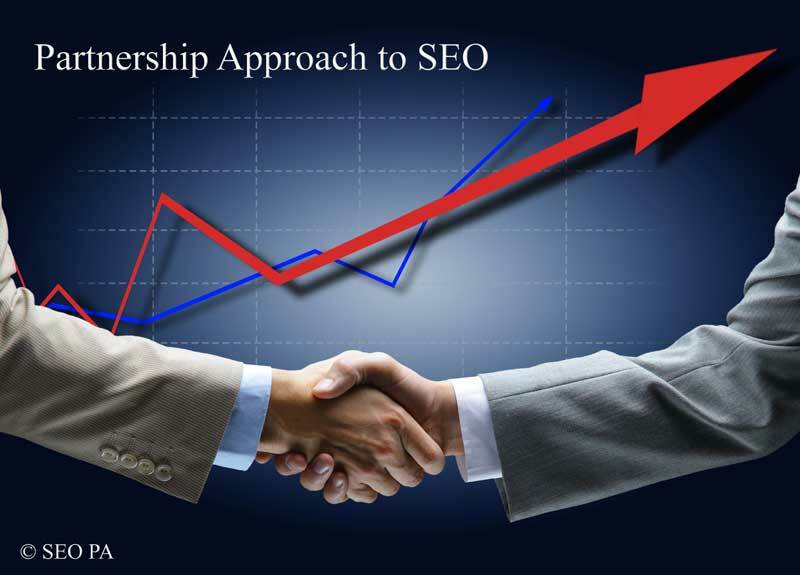 Find out why my guaranteed, proven, partnership, client-focused, ethical and " white hat" approach to SEO for Property Management Companies is different and succeeds. I can make this happen. Are you still waiting for your current SEO Company to deliver that surge of new properties they promised? Content is not personalized either from the standpoint of the property owner or your business. 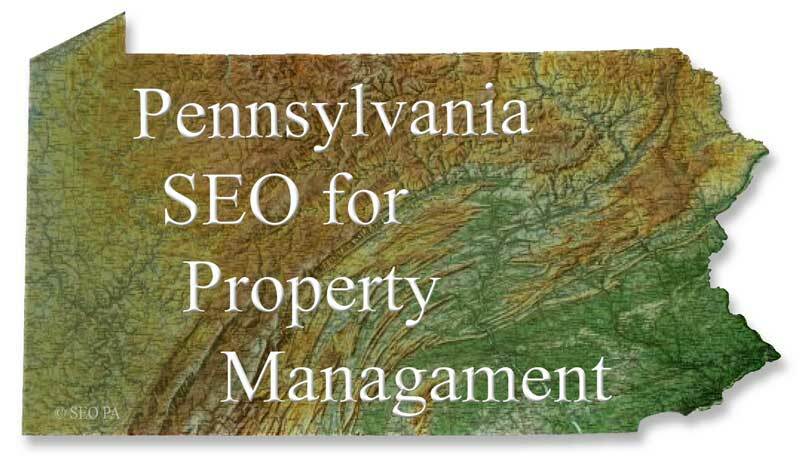 Does Your SEO Company Represent Competing Property Management Services? 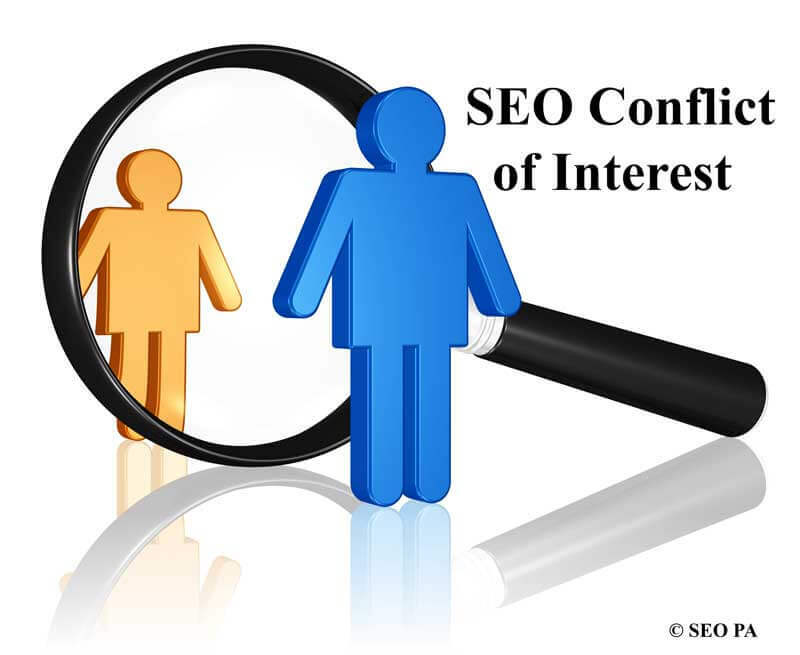 If your SEO Services provider represents other Property Management Companies offering the same services in your service area, you have a major conflict of interest. You're paying someone to apply all their SEO skills to promote your business. At the same time, competing Property Management Services are paying your SEO Company to promote their businesses. I represent only one Property Management Company in a service area. Please read on to find out more about my dedicated partnership approach your Property Management Business's success. Regardless, the conflict remains because success for one Property Management Business's ranking by definition damages the others. Getting the non-compete agreement in writing, signed and witnessed, will often jog the memory of many less than scrupulous SEO Companies. I'm a Property Management Business SEO Expert. However, I'm first and foremost a businessman. I understand what it means to make a payroll, control expenses, and expect a return on any investment including Search Engine Optimization. When I take on a new Property Management Business, or any business, I treat it like my own. As such, I want the top SEO position and increased business yesterday. Therefore, I do a tremendous amount of work on the front end of a project. I'm 100% dedicated to promoting your Property Management Business. I don't represent competing Property Management Businesses even if they offer different services. That's because you may want to offer additional services in the future. If I already have a client offering the new service, I immediately have a conflict of interest. Let's get started now. Pick up the phone. It's that thing with a receiver and a cord you may have thought was a decorative paperweight. Call me. Let me look at your Property Management Business's website. 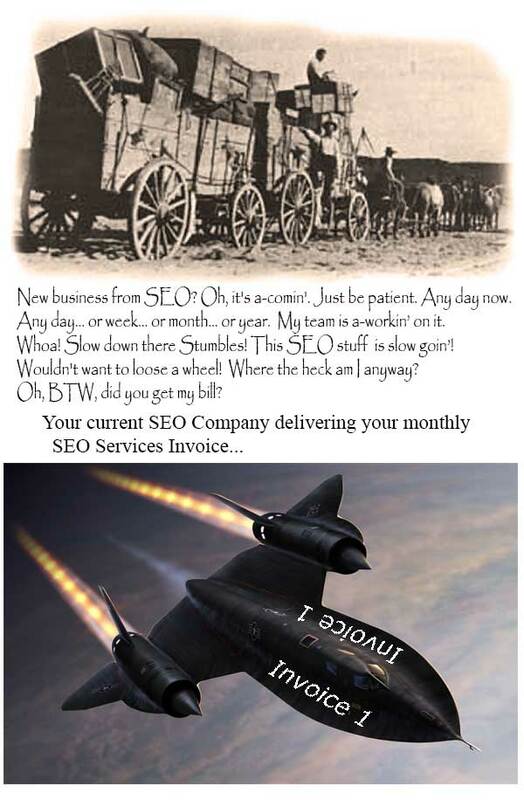 I'll give you an idea of how long it will take to start seeing an increase in your business. 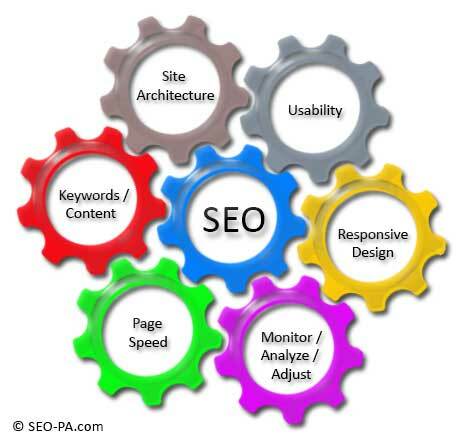 The graphic above represents major considerations for SEO for a Property Management Business. There are many things to consider within each category. Smoothly integrating all these considerations takes years of experience. Property Management Business websites use the same keywords and key phrases for common services. Here's how we distinguish you from the rest. I have to understand what makes your Property Management stand out from other providers. Why should I choose your Property Management Company? Why are you the best people to manage my property?